A pre-workout supplement is designed to do what it says-make you more active by enhancing your performance during workouts. In recent years, pre-workout supplements have gained popularity due to their effectiveness. With the sports nutrition industry racking up sales of over $20 billion every year, it is clear that this craze is not stopping anytime soon. Many pro-athletes, trainers and bodybuilders tout the energizing effects of supplements. 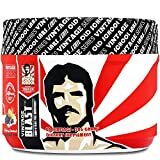 These supplements are typically made of a blend of ingredients such as creatine, caffeine, beta-alanine, nitric oxide agents, branched-chain amino acids and caffeine. The combinations are intended to be consumed prior to training or exercise to stimulate a synergistic effect. Due to the increased popularity, many studies have been conducted to gauge whether the supplements possess a positive payoff on performance and if there are possible risks associated with use. It is worth mentioning that not all pre-workouts are equal. What your gym partner takes might not be necessarily the right supplement for you. Besides, the supplement you require for a pre-workout is dependent on the type and intensity of the exercise you want to do. Most of the pre workout supplements are based on body stimulation and for this reason, have large amounts of caffeine. In this instance, if you don’t react well to caffeine, you may want to consider using a stimulant free supplement. People sensitive to caffeine can undergo a rapid heart rate, shaking and other side effects that may obstruct their workouts instead of helping. The question on everyone’s lips is, are pre-workout supplements safe? To help you understand whether or not pre-workout supplements are safe, we did extensive research to tell you everything you need to know about these pills and powders. To fully understand their safety, it is vital first to have an in-depth look at the building blocks mentioned above. Creatine– Creatine is a vital part of many athletes bodybuilding stacks as it helps to build more muscles. Creatine also provides you with extra energy during workouts. Getting some extra creatine just before your training can efficiently give your body the more energy it needs to endure the workout session. Caffeine– a common molecule found in beverages such as energy drinks, coffee and cola, caffeine needs no introduction. This stimulant will help you to get through your training or workout better. By increasing your concentration, delaying fatigue and improving endurance, you will have the will and power to survive a gruesome workout. Nitric Oxide Boosters– you have probably seen Pump Matrix or Nitric Oxide Matrix on your supplement’s bottle. 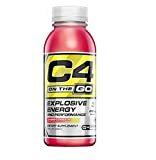 These specially designed mixes have minerals and vitamins that enhance the production of nitric oxide. Nitric oxide is responsible for dilating blood vessels in the body to increase blood flow. Beta-Alanine– beta-alanine gives your body protection from damage that might be a result of lactic acid build up during exercising. By increasing the carnosine in your body, beta-alanine maintains your pH level to improve exercise performance. To enjoy this protective effect, you need to ingest beta-alanine before training or workouts. Branched Chain Amino Acids (BCAAs)– Amino Acids consist of 3 vital elements: valine, leucine and isoleucine. They can either be taken separately or included in your pre-workout mix. They are the building blocks of protein, meaning they are tasked with the responsibility of protecting glycogen stored in your muscles. L-arginine has a pumping effect that improves blood flow and helps to deliver nutrients to muscle fibers. L-leucine aids in promoting muscle growth through protein synthesis. Agmatine possesses cognitive benefits that provide mental endurance in training. Citrulline– this amino acid is naturally produced in the body but consuming it from supplements can increase its level in your body to boost performance. Citrulline increases blood flow to body tissues and in the process supply muscles with nutrients and oxygen necessary for better performance. It also minimizes muscle soreness considerably after workouts. You are responsible for your own safety. Just like other types of supplements in the market (diet pills, pills and other nutriceuticals), pre-workout supplements are not regulated by the FDA. This implies that the manufacturers are not required by law to test the safety of their own products. Rather than being classified as drugs, supplements are placed under a special food category. The most that the FDA can do is give advertising and labeling guidance. As you probably know, the amount of each ingredient varies from one brand or package to another. To be on the safe side, it is advisable to buy your supplements from a reputable brand. Going for a brand with a stamp of approval from a recognized body like GMP and NSF can be an excellent start to getting a safe product. You should, however, note that these stamps are not entirely foolproof as they can be forged. The most reliable way is to check out the ingredients yourself and determine the best supplement for you. Beta-Alanine can cause mild tingling sensations; creatine may lead to abdominal discomfort, muscle cramps and loose stool, and citrulline may cause tummy upsets. While no serious side effects have been reported from the use of the ingredients, combining them with other substances can increase the risk of adverse events. To be safe, avoid formulas with multiple active ingredients. Go for supplements without artificial flavors/sweeteners, proprietary blends, and unnecessary fillers. To answer our questions, yes, they are safe when used correctly and according to package instructions. By carefully scrutinizing the ingredients or each product to ensure its safety and effectiveness, you are guaranteed of improved athletic performance and extra boost during workouts. Brands are recognizing the need for easy-to-read labels, and better-quality ingredients as more and more people are paying attention to what is in their supplements. You cannot determine if a particular pre-workout supplement possesses unsafe dosages or ingredients if you don’t study the label. You can pinpoint proprietary blends by scrutinizing for terms like special formula or complexes. If you come across these terms, run and never look back. Ensure that each individual ingredient has the exact amount clearly indicated or specified. Any reputable manufacturer will have no reason to hide the amount of the ingredients in each dosage. This way, it will be easier to determine the right supplement for you. Have you ever used pre-workout supplements? Did you experience any side effects? Share your experience in the comments section below.